Earlier this month I hopped on a plane to Portland, OR to attend the 2012 American Wine Society National Conference. Even though the median age of AWS membership that attends exceeds retirement age, I do enjoy these conferences. 2 Days and 3 nights of wine, wine, and more wine. Where else can you start the morning at 7:30 AM with an "educational" sparkling wine breakfast, drink until midnight, and then repeat the next morning? For those concerned about my liver, this was an excellent opportunity to hone the "sip-n-spit" technique (lest I still be found in a gutter along the shores of the Columbia River). 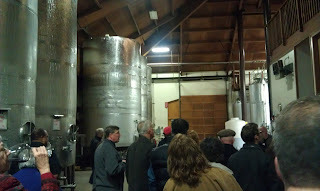 One of the highlights of the conference was the Willamette Valley Wine Experience on Thursday night. 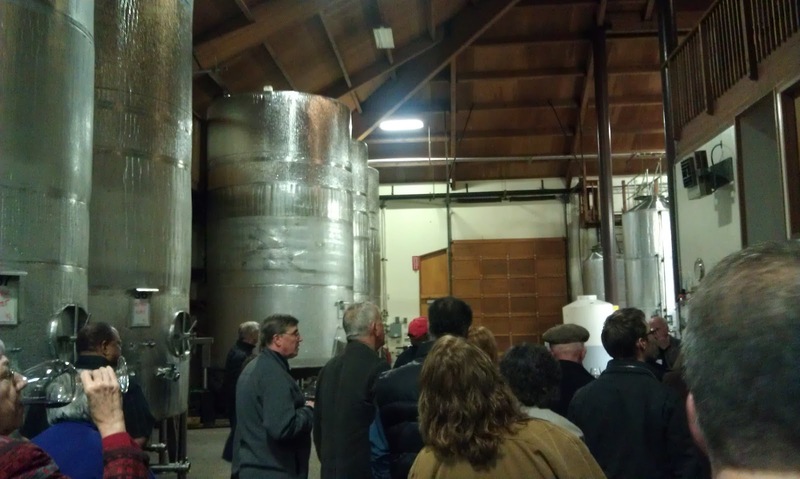 The entire group of ~450 people loaded up into buses and trekked south to Willamette Valley Vineyards where winery owner Jim Bernau greeted us with a Reidel glass of pinot noit fresh from the barrel as we exited the bus. A brief tour through the wine cellar and then we had the rest of the evening to sample wines from ~20 local wineries and sample a delicious buffet. But the highlight was being handed a glass by Jim Bernau himself! After the conference, a group of us stayed and headed south for some more in depth wine tasting--because we hadn't had enough wine yet. The group size necessitated private appointments which ended up providing a couple of unique experiences that I'd like to share. OK...brag about...either way they were just darn cool. 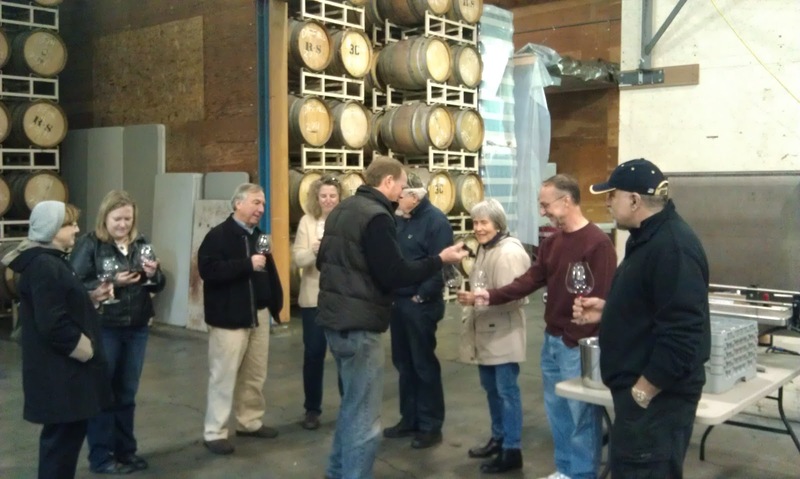 The first was our tasting with Rob Stuart, founder & winemaker at R. Stuart & Co. Winery in McMinnville. The winery is located in a converted granary on the outskirts of downtown McMinnville. Rob proceeded to give us a very unique tasting of wines in progress. A pinot gris nearing the end of fermentation...freshly barrelled pinot noirs from the 2012 vintage...2011 pinot noirs after a year in barrel...a tempranillo experiment to hedge against global warming...and lastly, a unique cabernet sauvignon-based tawny dessert wine (port by any other name). In the midst of all that wine, Rob spoke about his winemaking, best practices, beliefs, & theories of what makes great pinot noir. For 2 solid hours, I was entranced. Rob probably got a little tired of answering my questions, but hey, what's an aspiring winemaker to do? We overstayed our welcome a bit so we had to mosey along to another tasting. But we did return to the R Stuart wine bar (located a few blocks from the winery) later in the evening to purchase some bottles and had another wonderful chat with the tasting room manager. The second extraordinary experience was our visit to Willakenzie Estate. This visit turned into a treat thanks to some of the members in the group who had worked at Digital Equipment Corporation, a trait they shared with Willakenzie owner Bernard Lacroute. That shared history was mentioned when the appointment was made and who showed up shortly after our arrival, but Bernard himself (along with 2 gorgeous dogs). Bernard escorted us into a private tasting room and proceeded to pour his wines for us along with regaling us with the history of Willakenzie (what a view!) and tales of the wines we were drinking. There were many other excellent tastings--Penner-Ash, Soter, The Four Graces, Ponzi wine bar, Argyle, and Anne Amie just to name a few. And amazing food--The Painted Lady, Jory at the Allison Spa, The Horseradish. Sadly, all good things must come to an end and I had to return to Boston. I have returned enlightened, enthused, and empowered to build my own dream, just as these folks have done. Glad to see you got to experience OR. I loved my visit earlier this year and will be back in 2013 to do some more exploration. 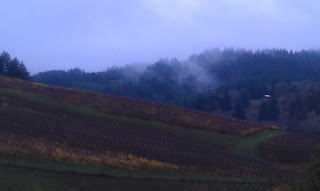 Actually, this was my 3rd trip to OR wine country. Fell in love with the Willamette Valley over 10 years ago. Sadly a couple of my favorite wineries from the first couple of trips had gone downhill, but discovered several new favorites on this trip.